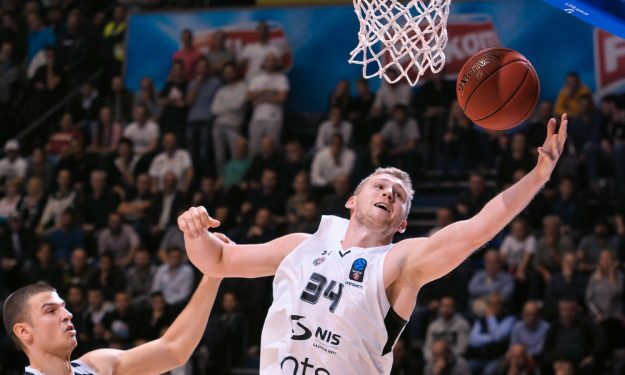 Jock Landale made a brilliant game-winning intervention for Partizan. Jock Landale pulled off a quite difficult buzzer-beating tip in thanks to which Partizan Belgrade beat Mornar Bar 75 – 73 at home. With the score 73 – 73, Alex Renfroe went 1/2 from the line for Partizan, only for Landale to position himself at the right spot and send the ball through the hoop with his fingertips. Landale finished the match with 12 points and six rebounds while Renfroe scored 18 points and dished out five assists. Thanks to this win, Partizan improved to 8 – 6 and climbed third and back to the playoff zone. Antabia Waller dropped 24 points for the Montenegrin champions that are now 5 – 9.